Starting this week, I am going to start streamlining the newsletter for readability and consistency. However, I would appreciate any comments, criticisms, or suggestions during this process to ensure I am delivering the information you need each week. Feel free to email me suggestions here. Thank you for your assistance. Since I did NOT produce a newsletter last weekend due to the holiday’s, let’s start with a review of the broad market. Following the election, the market has surged around the theme of “Trumponomics” as a “New Hope” as tax cuts and infrastructure spending (read massive deficit increase) will fuel earnings growth for companies, stronger economic growth, and higher asset prices. It is a tall order given the already lengthy economic recovery at hand, but like I said, it is “hope” fueling the markets currently. The problem with the breadth of the advance is significant. As shown in the sector rotation chart, the current rally has been extremely bifurcated. Such extreme deviations in performance tend not to last long and tend to have rather nasty reversions. As my friend David Larew (@thinktankcharts) pointed out on Thursday, breath has triggered a short-term sell signal suggesting a pullback to support. I still expect such could very well be the case with a ‘”Santa Claus” rally into the end of the year as fund managers scramble to add performance before the year-end reporting period comes to an end. This would certainly coincide with the “hope” that investors have currently built into the market during the recent advance. This exuberance, and risk of a correction, is further confirmed by the CBOE SKEW index which is an option-based indicator that measures the perceived tail risk of the distribution of S&P 500 log returns at a 30- day horizon. Tail risk is the risk associated with an increase in the probability of outlier returns, returns two or more standard deviations below the mean. Think stock market crash, or black swan. This probability is negligible for a normal distribution, but can be significant for distributions which are skewed and have fat tails. I have taken the SKEW index and divided it by the VIX to create a “fear gauge.” To smooth out the volatility of daily data I have used a 50-day moving average. The vertical dashed lines show that peaks in the SKEW/VIX index have corresponded to either short to intermediate-term peaks. Importantly, you will notice that historically when the gauge has gotten to these levels previously, we have been near major market peaks. Maybe this time will be different, but some caution is likely wise. It is unlikely that with valuations currently all pushing upper deciles that a new secular bull market has begun. However, there are many more similarities to the exuberance seen in 1999 versus 1980. With that said, it is quite likely a bulk of “hope generated” market gains from “Trumponomics” is complete. While I am not suggesting the market is about to “crash” in a fiery mass, I am suggesting the “ebullience” of the markets over the last 8-years has likely priced in any real net effects of fiscal policy changes at this point. In other words, changes to fiscal policy will likely only offset retractions of monetary policy. Rates did drift slightly higher this week as stated but still well within the context of the long-term downtrend. The chart above shows the long-term trend of the 10-year Treasury going back to 1978 as compared to its RSI index and I have circled the recent “surge” in rates. When put into this context, the rise is barely noticeable. However, what is notable is that historically whenever the RSI on rates has exceeded 80%, red dashed lines, it has preceded a subsequent decline in rates. In other words, overbought rates are a signal to buy oversold bonds for a potential reversion trade. However, the coincident surge in both rates AND the dollar have also put the markets at risk of a bigger “impact correction” due to the simultaneous strain the surging dollar and rates put on foreign exchange and economies. History is littered with incidents that have coincided with similar environments. Sure, this time could be different…it just usually isn’t. “Investors are misguided in betting that promised tax cuts, infrastructure spending and deregulation will spur faster growth, as the benefits from such fiscal stimulus likely would be temporary. Here is the most important point to remember. Just two months ago, we were told that U.S. equities should rise because bond yields would be low forever, discount rates should trend toward 0%, and therefore equity valuations should trend toward infinity over time. Now, we’re told that despite bond yields surging we can still count on U.S. equities trending toward infinity because they’re better positioned to absorb higher rates than emerging markets. The chart below shows the 10-year Treasury rate the German Bund rate. Not surprisingly, since rate spreads directly impact economic activity, trade, and currency flows, whenever spreads widen to such a degree, bad things have tended to happen. This week, OPEC managed to reach the much-hyped agreement to cut output in a bid to boost oil prices. The ministerial meeting in Vienna is said to have clinched a deal to cut output by 1.2 million barrels per day to 32.5 million barrels per day, the deal comes with a condition that non-OPEC producers also cut production which will be discussed in early December. This is usually where the deal falls apart. The deal is only for 6-months, and the reality is there is very little expectations that OPEC, or the other producers, will actually comply. Furthermore, the deal will only reduce oil output very modestly and will do little to impact the long-term supply/demand imbalance. Furthermore, any cuts made by OPEC will likely be more than offset by increases in U.S. production which is already on the rise particularly in the Permian Basin. However, oil traders remain extremely long oil at this point and as such a reversal of oil, once again, back to the low 40’s is very likely. Furthermore, note the very high correlation between the direction of oil contracts and the S&P 500. In 2014, I recommended that all my readers get out of oil-related stocks as the deviation from the underlying commodity price had become too great. As shown, that deviation is back with oil at extreme long-term overbought conditions. As David Hunt, CEO of the asset management group that manages US$1 trillion in assets told Bloomberg last week, the oil price surge today is “probably not” sustainable. For those long energy-related equities, this is likely a good time to take in profits and reduce exposure looking to re-enter trading positions on a retracement back to oversold conditions. Thank you for your recent suggestions. We are working on adding some momentum indicators to the tear sheet. While the markets seemed to rally broadly last week, such was really not the case when we looking at individual areas. While Financials led the charge, on hopes that Trump will repeal “Dodd-Frank” allowing banks to once again “run amok;” Small and Mid-cap stocks, Energy (on oil cut deal from OPEC) and Industrials outperformed the index as well. The problem, as stated above, is that a stronger dollar and higher interest rates will likely hamper this optimism sooner rather than later. This is particularly the case with Small and Mid-Cap companies that are the most susceptible to monetary tightening. Utilities, REIT’s, Staples, Bonds, Gold, and Healthcare have remained under pressure this past week. While Basic Materials, Financials, Industrials and Energy are beginning to push extremes. Importantly, notice the cluster of assets that are grossly underperforming the S&P 500 currently. THIS DOES NOT LAST LONG and tends to historically lead to rather swift reversions in the trade. Everything is currently pointing to this being the case so profit taking and rebalancing is strongly advised. As discussed over the last couple of weeks, the markets not only reversed the breakdown, and rallied to new highs, as expected previously, investor confidence has exploded since the election. However, this rally is likely done for the moment and we need to wait for a bit of rebalancing before increasing target exposures heading into the new year. 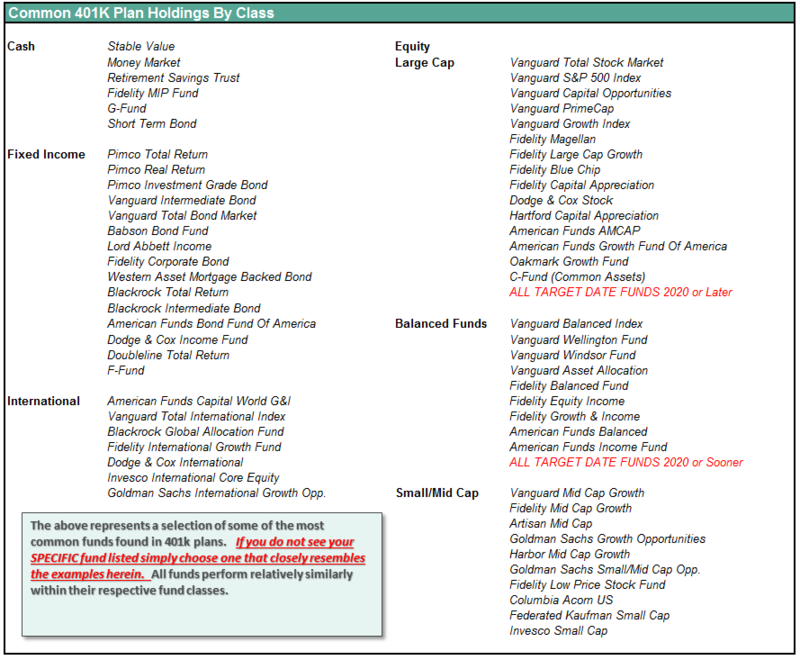 Use the rally from last week to clean up portfolios as detailed in November 4th missive. The big risk in the near-term is when the markets come to grips with the rise in rates, simultaneously with a stronger dollar, which will quickly erode earnings in an already over-valued market. IF the Fed hikes rates in December, we could well see another January swoon as we saw this year as much of the backdrop is still extremely weak. The lower allocations to “risk” in portfolios has lowered volatility and kept principal safe over the last several months. With the election now past us, we can start making decisions about the “seasonally strong” period of the year. However, as noted in the chart above, we have now triggered a secondary “sell” signal that keeps us on alert in the short-term. If the markets can continue to maintain some strength this should be reversed by the end of the year.